Well, I’m officially registered to start my MFA in a matter of weeks. Weeks—eek! I just bought a new weekly planner (I buy the July—June ones), and since my academic year is going into 2019, I figured I should probably print out my quarterly calendars for 2019, too. 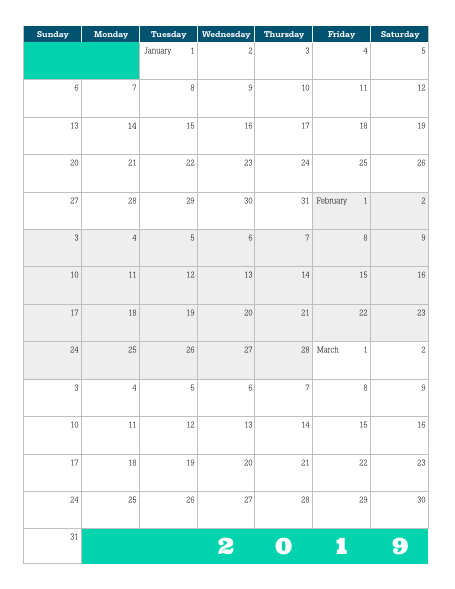 So good news: you don’t have to wait until December or January for next year’s calendar! Near the end of 2015, I made a post about time management, which included free downloads to help you get organized, including a Gantt Chart Excel template and a printable blank quarterly calendar. I’ve been using this quarterly calendar since 2015 as a family planner, color-coding events and appointments for each family member. We can see the whole year at a glance, and I use it daily! It also works really well for planning out projects. You could use highlighters to create Gantt Charts on your calendar. I meant to send out a cutesy announcement that I’ve been accepted into Hamline University’s MFA in Writing for Children and Young Adults, but this week has been incredibly busy. Tonight is my pre-orientation, and I’m thrilled to be joining this program! I still plan on posting to the blog rarely—quality over quantity—but I also hope to resurrect my weekly (or bi-weekly) newsletter, which you can subscribe to in the footer on my website. Until then, here’s an old post I recently remembered about word origins. Click through to the original study for an interactive look at the inherent etymology of five different passages: American lit, British lit, legal, medicine, and sports. And check out my Anglo-Saxon Diction post for an exercise in word choice. Do you have plans for the summer? What are your writing goals for the next couple of months? If I can help you achieve them in some way—comment or reply! I’m a visual person, so I appreciate graphs, especially color coded ones! But I’m also a design person, so color schemes get to me. While their color scheme makes me shudder a bit, I am digging this visual representation of English word origins! Read the original study here. If you hover over the highlighted words, you can see the origin of the word. Click a word, and you’ll be taken to its entry in the etymology dictionary. Pretty nifty stuff! Interested in English word origins? 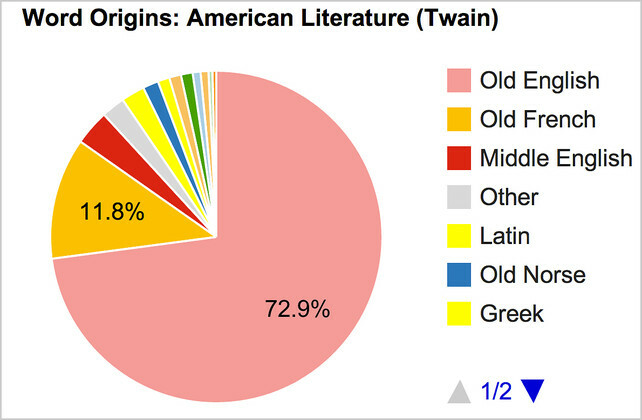 Did you know that Old English (that big pink chunk of the pie) has Germanic roots? Be sure to read my post on Anglo-Saxon versus Latinate Diction. Pssssst: It’s my birthday today! Usually I wouldn’t advertise that, but it’s my 30th, so yeah, I’m going to unapologetically ask you to check out the Kickstarter project I’m involved in. Group Chat is now live on Kickstarter! Write (and finish!) more short works before attempting that three-volume novel or ten-year comic. Advice teaches you how others write, but each new story you write teaches you how to solve problems with your unique brain. If your current WIP (work in progress) is long-form fiction or essays or a book-length project, you could go months before finishing something. Writing something shorter can grant that feeling of accomplishment so many of our brains depend on to keep motivation up. When we experience even small amounts of success, our brains release dopamine, which is connected to feelings of pleasure, learning and motivation. When we feel the effects of dopamine, we’re eager to repeat the actions that resulted in success in the first place. Neuroscientists refer to this as “self-directed learning.” This is why achieving small goals is such an effective way to stay motivated during long-term projects and processes. Write a draft you can finish in a day or week: flash fiction, a short script for a comic or skit, a poem, an outline of a picture book. A fifteen-blinker—300-800 maximum words for prose, fewer than 30 lines for poetry. If you’re between projects or stuck on one, if you’re feeling uninspired or pressed for time, write something short. Something completely different from what you are currently writing on. Let the madman loose and write without rules. Don’t edit, don’t revise, just finish the thing. And OK, once you’ve finished the thing, and if you’re not on deadline for something else, revise that work and submit to contests, anthologies, or magazines. Shorter works are quicker to revise, so you can submit more frequently, which gives you a better chance of getting published (that is, if you keep improving as a writer and aren’t a jerk to the publishing community…). Sure, you might get a bunch of “No”s, but rejections hurt less for works you didn’t invest as many months into. And any “yes” is an upvote for your skill as a writer and an addition to your writer bio. So how do you submit, anyway? Before you ever sign a contract, I recommend having a lawyer look over the terms. If you can’t afford a lawyer, research the terms and any person or entity involved in the contract before signing your name. Submitting to a literary journal or nonprofit press is not the same as submitting to a commercial publisher. They want different things. A commercial publisher wants a query letter that will help them gauge whether you or your work will sell to a commercial audience. (That isn’t to say they don’t want good writing or that they won’t accept quiet works from unknown writers!) Still, query letters have to market your writing. A cover letter for a journal or nonprofit press should include how your work will fit in with their oeuvre of published work. 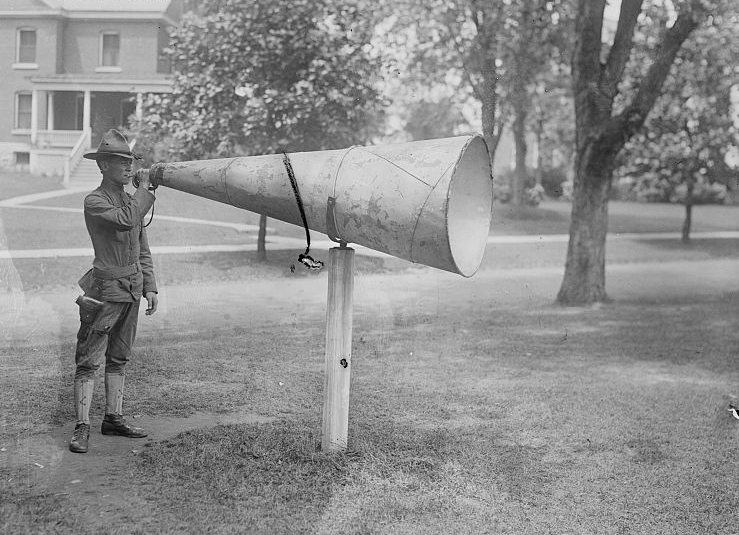 Literary journal and nonprofit press editors often skim or skip the cover letter—they care more about the story and voice than the pitch or concept. However, no matter how excellent your work is, it still has to fit within their brand. Your Hugo-worthy political fantasy will get rejected by Stymie, a literary magazine focused on sports. Find literary magazines and journals to submit through Poets & Writers search or Writers Market. The latter requires a subscription. One year is the best deal, but you can pay $6 for one month and then cancel. You can order the physical book online for half price or pick up a copy of the book at a bookstore. Your local library may have a free copy of Writer’s Market to borrow, but it might be out of date. Always check online to see if the submission information is accurate and to see if the magazine or journal has specific requirements for their cover letter. If you are part of a comics community, you might catch word of anthologies and open submissions through your network. Otherwise check out Find Anthologies! on Twitter. Each anthology will have their own submission requirements. Most likely, if you aren’t illustrating your own work, you will need to have an illustrator up front. Together you will create a proposal with a cover letter, pitch, and sample pages or character designs. Group Chat, a Comics Anthology about Friendship, Is Now Live on Kickstarter! This whole blog post comes from personal experience. I frequently need to feel like I’ve finished something tangible, or else I get discouraged. While working on long pieces, I often need to distract myself, especially when I’m feeling stuck or uninspired, by writing something short. I’ll write poetry, picture books, and short comics. Well, one of those short comics is being published in an anthology! Read the description below. Emphasis mine, because that’s the comic I wrote! Group Chat features 24 up-and-coming creators, all telling stories about the people who have your back no matter what. Group Chat spans genres from sci-fi to slice-of-life; from westerns to witchy shenanigans to coming-of-age stories. These comics —feeling good about your body after a mastectomy, two friends supporting each other through the creation of a trans fashion line, learning to appreciate your best friend’s chucklehead boyfriend, and others—were carefully chosen for their humor, heart, and beauty from a wide range of up-and-coming creators. See the project on Kickstarter. If you watch the project video, “Best Dressed” is featured at 1:45. You can catch an additional sneak peak on Twitter or in my @larathelark Instagram Stories (Stories only available on mobile). “Best Dressed” is a feel-good comic about dressing-room anxiety. Want to read the original comic script? Pledge at least $10 to the Kickstarter (the price for a digital copy of the whole anthology, 200+ pages) and email the pledge confirmation to querylara (at) gmail (.)com. Julia Hutchinson is an illustrator and comics artist whom I follow on Twitter. She was looking to collaborate on a couple anthology submissions, and I sent her my idea for a comic for Group Chat. When I needed inspiration while writing the comic, I looked to the Leslie Knope / Ann Perkins friendship from Parks and Recreation and Julia’s previous artwork to solidify the characters. I wrote the skeleton, but Julia’s art brought my script to life with muscles and skin and spirit. She’s awesome, and I’m really proud of the comic we made together! Thrilled to see some familiar names on this list of 2018 Summer Reads from Bustle! The list includes fifteen books coming out in the next few months, all of which are bound to make summer feel just a bit warmer. But I’d quickly like to highlight and coo over four books in particular I am very excited about.